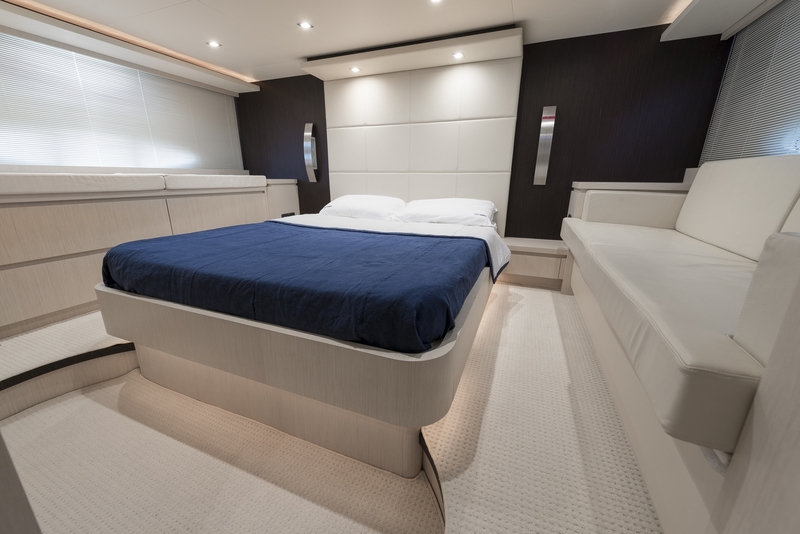 21m/69ft motor yacht FLY AWAY from Uniesse is a sleek and speedy white vessel that uses a planing hull to reach a top speed of 32 knots. 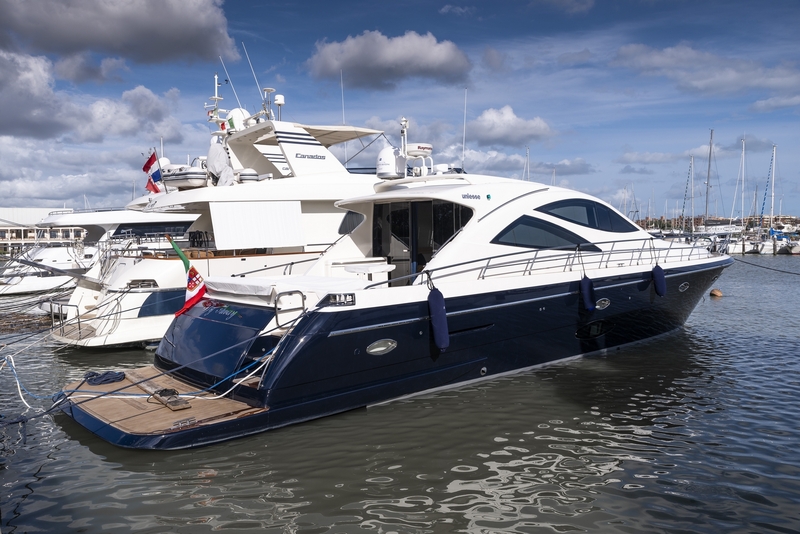 Built in 2008 and last refitted in 2016, she has excellent modernised amenities as well as comfortable and bright accommodation sleeping six guests over three cabins. 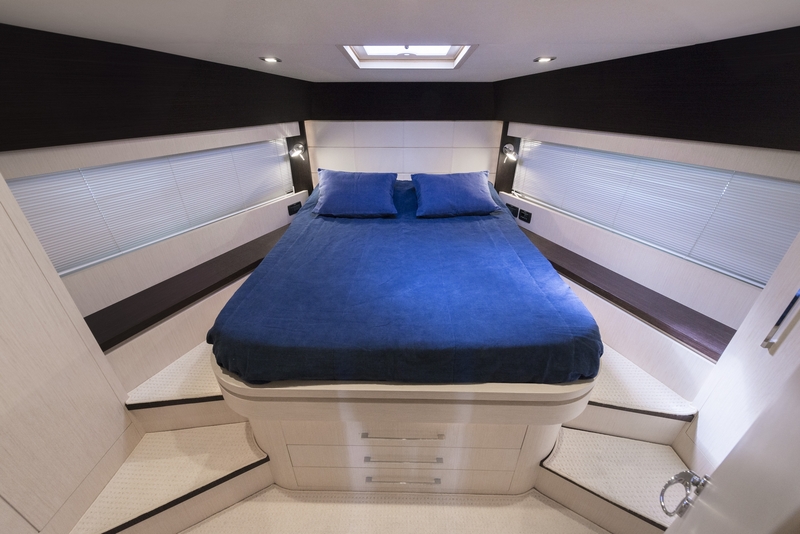 The lower deck swim platform provides easy access in and out of the water as well as plenty of space for sunbathing. 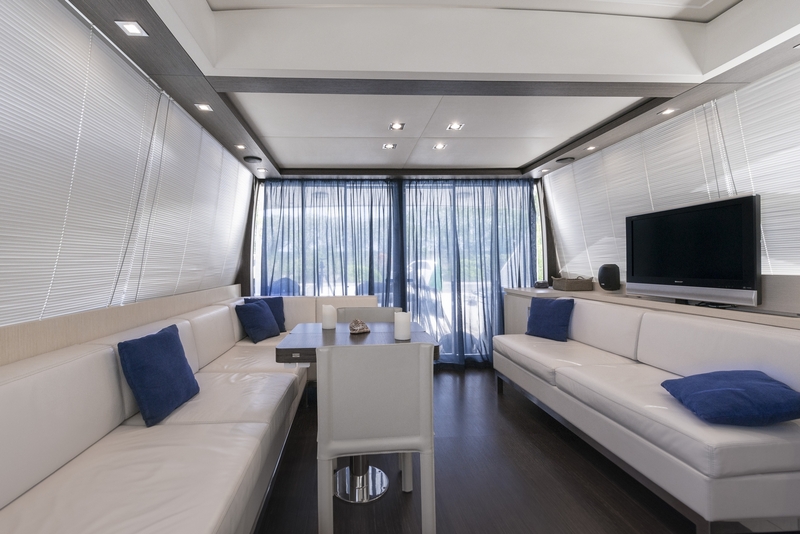 Connecting up to the main deck, guests are treated to a large alfresco space that can be used for sunbathing with the sun pads, or dine at the extendable table. 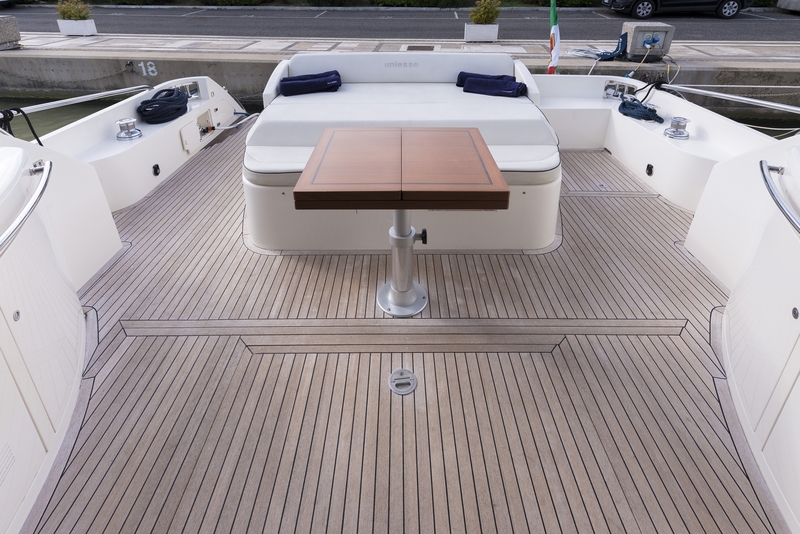 On the foredeck, sun pads cover the bow for the best views and plenty of sunshine throughout the day. 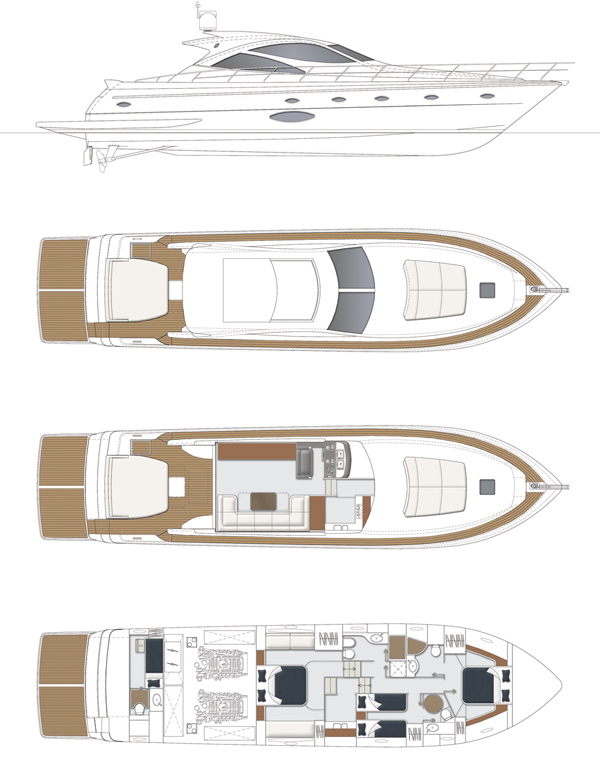 On the lower deck, the crew accommodation is placed within the stern with the engine room aft of centre. 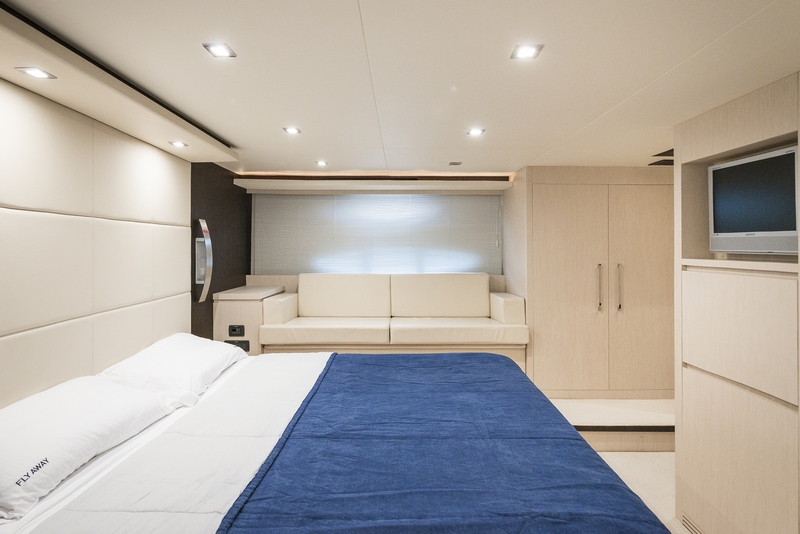 The guest accommodation takes up space amidships to the bow and includes a Master suite with a sofa, a VIP cabin and a twin cabin, each with their own bathroom. The main deck uses an open plan setting for the lounge, offering large windows running the expanse of the interior to flood the salon with natural light and excellent views of the location. An L-shaped sofa with a raised table creates the starboard dining area, while opposite there is a sofa running almost the full length of the room and a widescreen TV is placed behind. 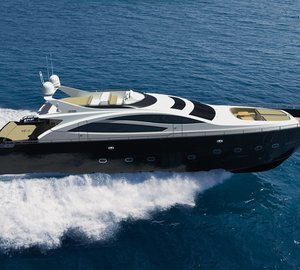 A pair of MAN engines each producing 1,200 HP provide a cruising speed of 25 knots and a top speed of 32 knots. 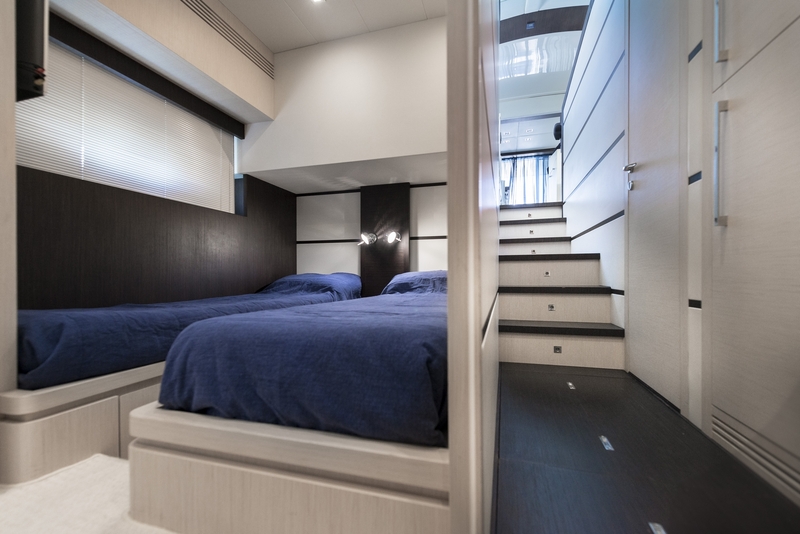 The accommodation sleeps a maximum of 6 guests over 3 spacious cabins: 1 Master suite, 1 VIP cabin and 1 twin cabin. 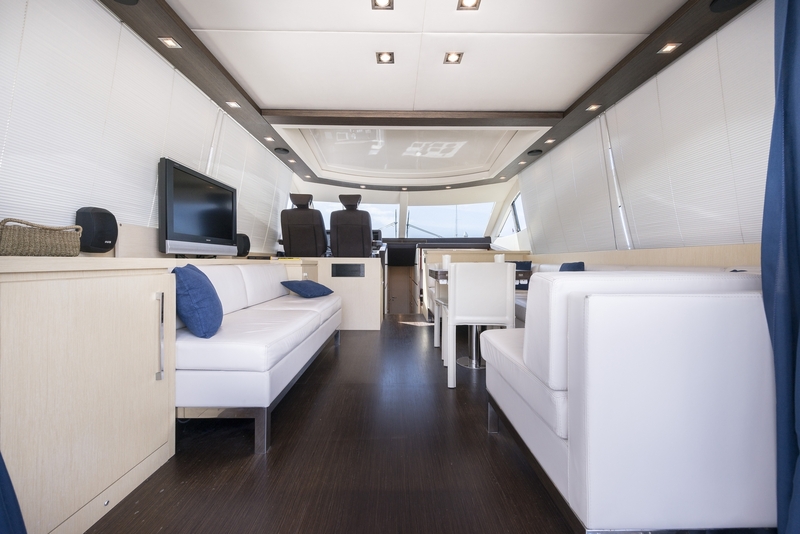 The crew of 2 will ensure that all guests receive a first-class service throughout the journey.